My first baby turned 13 a little over a week ago. It still boggles my mind that 1) I have a teenager (what the HECK?!) and 2) that times has gone so quickly. We haven’t done an official birthday party in awhile but I wanted to do a little something for him to celebrate the fact that he was entering his teen years. 13’s a hard age though. It’s not really conducive to a Chuck E Cheese party anymore and I felt like most of the other kid activities around here had been done. 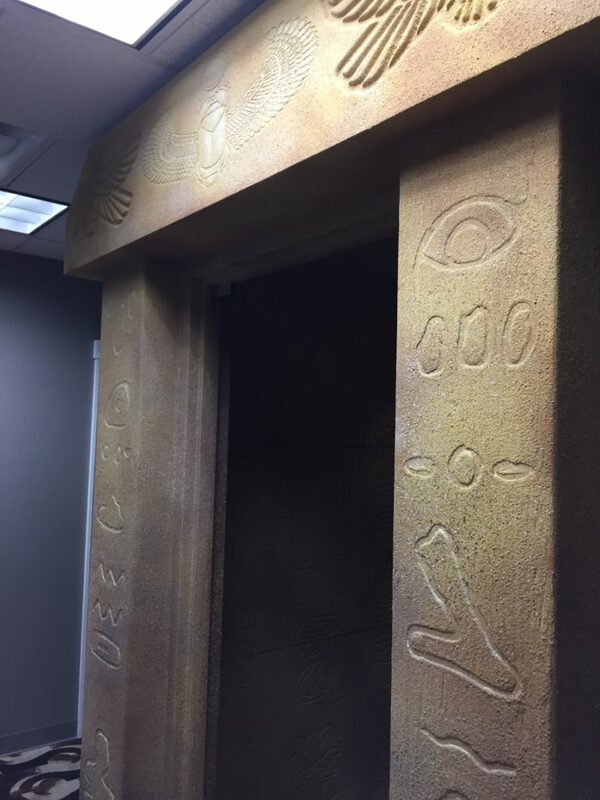 We decided to check out a local escape room company called Escape Room Mystery. By now, you have probably heard of the Escape Room trend or been to one? I wanted to share how FUN the experience was. I had no idea what to really expect going into it and didn’t really know where to start or what we would be doing. 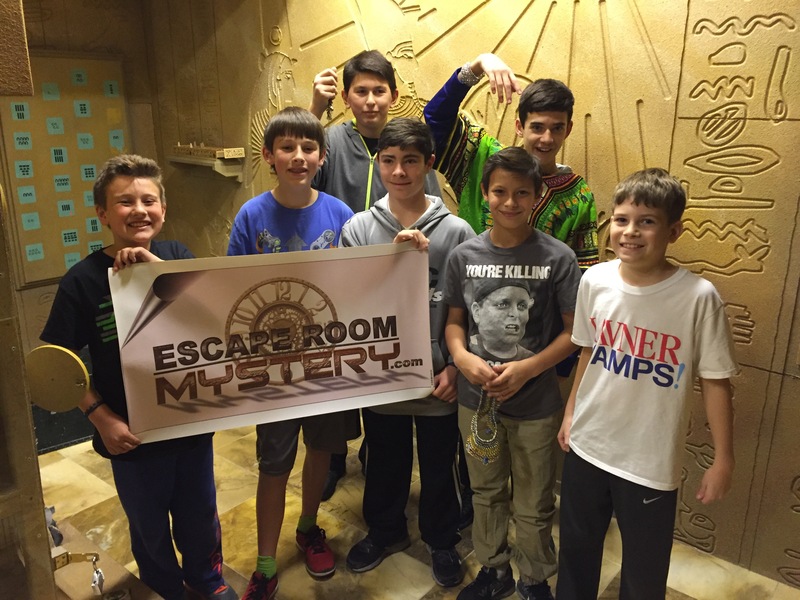 We did an Egyptian themed room and had a series of puzzles to solve. There were 7 boys ages 10-13 plus me and my husband. The kids were quick at solving things – almost quicker than we are. I think they are wired to think outside the box a lot better than we are as adults! I don’t want to tell you too much about it in case you’re a local reader and want to go but I highly recommend the experience! There’s a lot more too it in terms ofspecial effects that I didn’t realize – I won’t give any hints away but there’s a lot of fanfare when you get a puzzle right. I called ahead of time and asked which rooms were good for families or kids and they suggested this room and one other so I recommend doing that if you are going. I want to go back with a bunch of girls and do a girls night out! 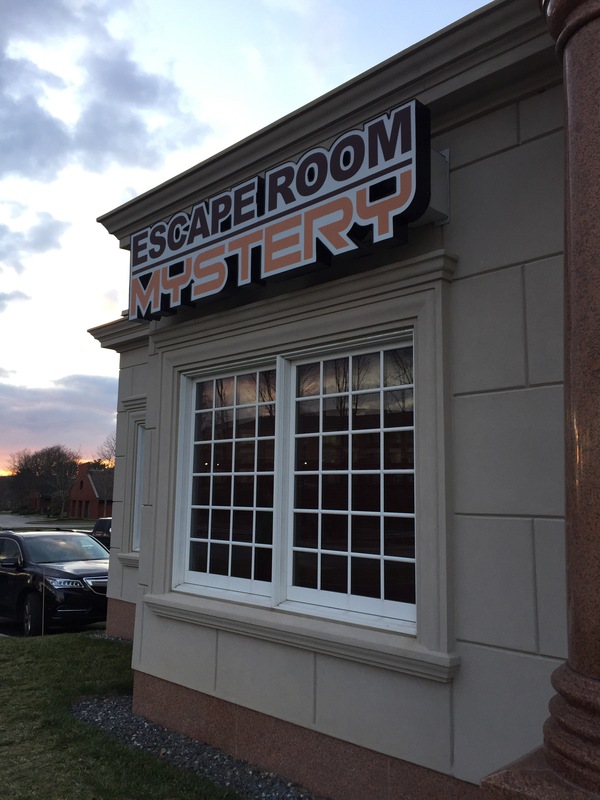 Do a Google search and see where there may be an escape room near you, it was a really unique and fun memory for the kiddos. We want to go back as a family and I’d also love to go do a room for a Girls Night Out!